Recently, there have been quite a few intense body changes that allowed expansion to happen in a way that we are now being able to hold more and more Light within our physical body. 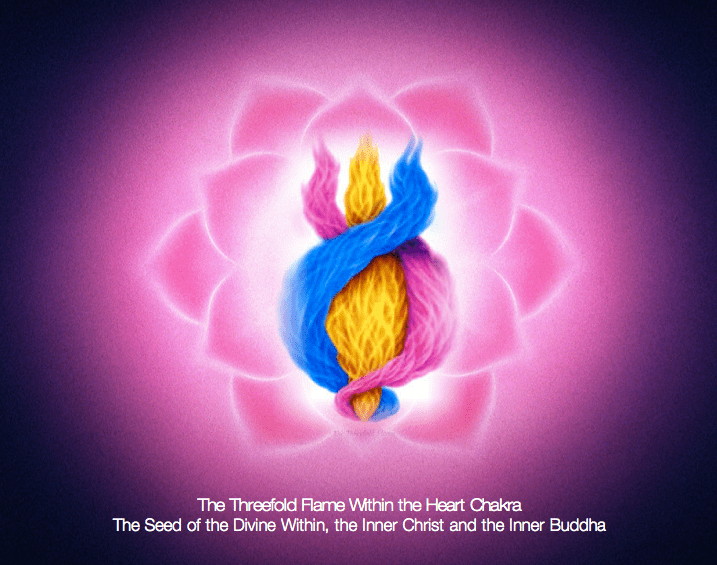 More specifically, the High Heart Chakra, which is where the merging with our Higher Self happens and the Throat Chakra have received a few upgrades and I know many of you have felt this happen in your own way. This “new” influx of Light is definitely getting us ready for the next level. This goes hand in hand with two dreams I’ve had the other day, which I felt were very significant not only for me, but for all Forerunners. The first dream was about creating form. I was creating and playing with the shapes, then I would telekinesize (new word, apparently I’m rewriting the English vocabulary LOL) the objects I could find into the room I was in, which was quite fun. I remember feeling very playful. This dream however, was my mind’s interpretation of the latest DNA activations. This is really about the fact that we will discover new skills and abilities that were latent before, I don’t mean that we will start telekinesizing stuff (well, who knows? LOL), but as in discovering our true Soul gifts. These activations, as everything else, will slightly differ from individual to individual. Some of you will find new creative ways to express yourself with these “new” skillsets or moving them up to a higher level, some of you will develop “new” abilities which are connected to your passions and Soul purposes. We are really kicking it up a notch, I am feeling it and it is super exciting. Many of you are quite busy on the inner planes now, which will be reflected in your dreams, but also in your day to day lives. What’s being “learned” on the inner planes is being manifested in your daily lives through your I AM presence. All this is basically meant to guide you towards reaching higher states of being in physicality and all that implies and to create with your Beingness. The second dream was about me and a few others that I did not recognize as someone I know in this lifetime, but I knew who they were at the same time, on a Soul level. We were at the house where I grew up and we were learning how to baptize each other from books. I remember someone baptizing me with a very pure crystalline water. It’s a good representation of the Unity Consciousness (Christ Consciousness) and also of how I felt all week. It feels like there’s a sense of renewal in the air and well that’s what spring is all about, but also it’s about the celestial alignments and gateways we have coming up in March. There’s a very powerful and potent Full Moon in Virgo coming up on the 5th of March, and I’m feeling it’s all about renewal and transforming into a new upgraded aspect of ourselves. This dream was another representation of the Initiation into self-mastery, which the Forerunners have been going through lately, becoming anew (the baptism). I have spoken before about tests and challenges and how they are not supposed to be perceived as impediments on our path, bring you down or make your life miserable. They are meant to facilitate your transformation, expansion and growth as an Ascending Master of the Earth. So, next time you find yourself in challenging situations, observe yourself. Respond, don’t react. In those moments, no matter the situation, there are two timelines: You either freak out over it, or you take a step back and observe that current situation through the eyes of an empowered individual with a heightened awareness. There’s no wrong or right way. If you freak out, good, acknowledge whatever your reaction to that situation is, feel it all, be authentic and honest with yourself, don’t be too hard on yourself, learn what there is to be learned and move on, don’t stay in that place. It’s simply not the best place to be in. Next time choose to respond differently through the eyes and wisdom of your heart. Practice and persistence are your friends. You will find that there is always a way for you to maintain a vibration of Joy, even in the most challenging waters. 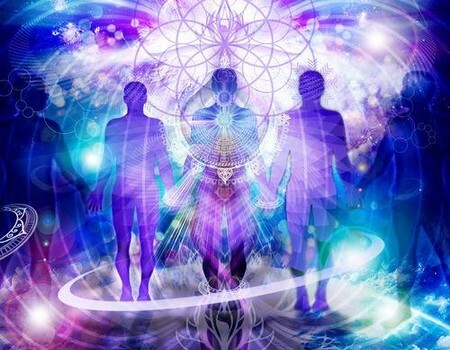 You have all the assistance you can think of, your Ascension Team is always with you offering their unconditional support, yet they do need your permission to assist. ~ All is well! Now, let’s say you read an article that you resonate with, watch a video or in your meditations you receive Divine Knowledge about certain concepts, topics, aspects of life etc. What do you do with it ? Are you integrating it within your Beingness or are you just skimming through it ? Ask yourself these questions.When we choose the road to self-mastery, integrating the Knowledge and embodying the qualities that are of resonance to us, in everything we are and do in every moment is an important step in our progress. This is what the expression “walking the talk” is about -integration-. Own your Truth, Integrate it and live by it. Discernment is important. Be open to New Knowledge, but check in with your Heart always when reading, listening, or when you’re receiving any kind of information. Does it resonate with you ? People often think that they are not capable of reaching Higher Understandings, that they are just not “wise enough,” or they perceive all that as too complex, unreachable and too much for our brains cause we’re “only human”. When you think like that and when you underestimate the Human Nature you stop expanding. There are many things about the Human Nature that are yet to be discovered. It is time to realize how powerful we truly are in a Higher State of Being. Reaching a Higher Understanding and Knowledge doesn’t mean acquiring a bunch of information or that the more complex the information the better. On our Ascension Path, it all starts at the basics and there are certain levels. Once you truly understand and integrate the basics, you will eventually expand into more complex subjects,concepts etc. and eventually reach a Greater Understandings. However, it all comes down to the basics. What I have learned is that if you do not know how to explain something to a fifth grader, that means as simple as possible, then you do not understand it either. “Simplicity is the ultimate sophistication,” Da Vinci said. That can’t be more true. Sometimes we tend to overanalyze, overthink, complicate everything and other stuff like that associated with the left brain. If you feel like that I’d recommend doing something more creative and fun like dancing, painting, singing, meditating etc. to balance the overactive left brain. Also, connect within your Heart often. Isn’t everything simple when you do that ? Love is Simple and Simplicity is Key. The Bridge to Freedom Crew Members have started a Resource Center with helpful, basic information that we are currently still working on. If you’d like to check it out Click Here. Manifestation is the process of bringing into your Reality the experiences, things or people that will assist you on your Journey and your Soul Expansion. We manifest by holding pure and clear intentions of what we want to manifest in the first place, by aligning us with our Highest Good, and allowing the Energy to shape itself after it. It involves self-mastery, trust and having faith that you are supported at all times and no matter what by the Universe. I know this may seem over-simplified, but it is actually a lot harder to “practice” than it sounds, especially when we get caught up in ego-mind stories such as worry and fear. When I say align with your Highest Good and allow the energy to shape itself after it, I mean becoming a vessel through which Divine Love, Wisdom and Power flow and let the Universe take care of material needs. What I’d recommend is to hold the intention to have a life abundant in Joy, Happiness,Love, Bliss, Peace and Freedom, no matter how that presents itself to you. We are constantly creating our Reality, so why not create it consciously for it to be in alignment with our Highest Good and Soul Purpose. We might not always know what’s for our Highest Good, but our Higher Self does, so when we go within,and I’d recommend doing that as often as you can, we develop a knowingness that everything is just how it’s supposed to be and always will be. Our Heart knows it. It’s necessary to understand how it works to avoid disappointment.I’m gonna give you an example to assist you with that. I have this friend who was very fascinated with trying to use manifestation for material things, so she really wanted to manifest a fancy car in her reality. That, of course, did not work too well. The reason was it wasn’t in alignment with her highest good. Now, don’t get me wrong, I have nothing against manifesting material things, however when we live in a higher state of Being, we have faith and we realize that we will effortlessly have everything we need on our Path. Many people find it difficult to manifest their Heart’s desires into their reality. This is because we unconsciously create blocks that stop manifestation from happening. It’s very important to address and release these blocks. The first step is becoming aware of them, which is why I am going to list the most common blocks, so if you identify with any of them, you can simply let them go. This is a process, as everything else, and you have to become the detached Observer of your thoughts,emotions,actions etc. Everything you need is within you, and you are more than capable to accomplish this, Master! We often put a lot of limitations on ourselves, simply because up until now, we actually believed limitations are Real. Funny Ego-Mind story, I almost laughed. On the other hand, our Consciousness says: We are unlimited beings of infinite potential! So if you have thoughts like “ I am not capable of doing that; That is never going to happen to me because it’s impossible etc.” or you are just being too specific with things you want in your life, without expanding your vision, have unlimited thoughts and be open to different possibilities. So, as long as you do that (being open to different possibilities, ideas, outcomes, etc. and expand your vision) and fully integrate the truth that you really have infinite potential, there won’t be a block. This is a tough one and can create a lot of energetic blocks and not only related to Manifestation. The most common Low Vibrational Emotion is unworthiness. You may not feel worthy of having everything you dream of and everything you might need or want in your life. This can be because of religious belief systems, you’ve been taught that you have to work hard or it’s impossible to get what you want or be who you want to be or it’s not normal for you to have everything you want in your life. The emotion of unworthiness can also come from parents, siblings or friends who unconsciously made you feel unworthy. Truth is it is your Birthright to be abundant in blessings and joyful moments. Other unhealthy emotional blockages are not loving yourself and when you do that you unconsciously tell the Universe you don’t want what’s best for you and fear (especially of the future). Invoke the Violet Flame to transform those. Practice self-love. Remember: Fear is an illusion. This is the number one enemy of manifestation. If you have thoughts of lack,worry etc., then you’re probably not very successful with manifestation. What is important, again, is to observe yourself. If you are having those kind of thoughts, let them go and change them. You are an Alchemist! Use focused attention. “Energy flows where attention goes” someone said. That can’t be more true. 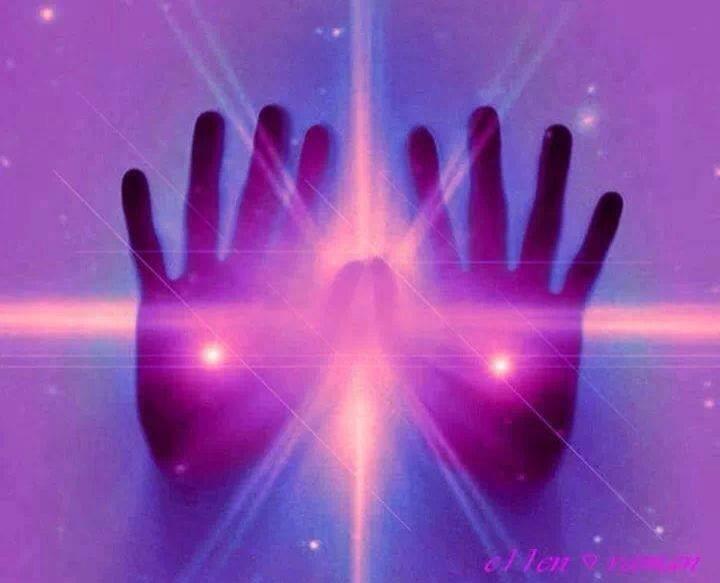 Invoke the Violet Flame to assist you in the process of transforming those thought patterns. Use affirmations. Have Faith and Trust that the Universe supports you and your Highest Good in every moment. I wanted to talk a bit about this as it is a controversial subject. First of all, there is nothing wrong with wanting to live a decent life. It doesn’t make you less “spiritual” and at this moment, money is still part of our collective reality. Our perception of money and the energy we attribute to it matters. Saying things like “I am so sick of money. I hate money. Etc” creates a block. While, yes, money is definitely not the best idea Humanity had, we have to stop attaching negative emotions to it. It interrupts the Flow of Prosperity. Money as everything else, is energy. If we think of it as simply part of our current reality and accept it for what it truly is, energy, your perspective of it changes. It is never about the money anyways, it is about what we do with it. We are humans and we can’t deny our material aspect of self. We need to embrace it in a balanced and healthy way. If we don’t create unconscious blocks to the Flow, Abundance flows in our lives effortlessly and in many ways. This is a great video from Ascension Pioneer Polona Aurea Dawn to help you understand better this topic. 1. When you meditate , connect with your Spirit Guides/Higher Self/Team of Angels or whoever you feel more comfortable with. Call upon them and ask them to assist you with releasing everything that is blocking the manifestation ability within you. Ask them to align you with your highest good and to assist you with manifesting everything you might need on your Journey. Thank them beforehand for their assistance and the blessings that are on the way. Gratitude facilitates the process of manifestation. 2. Another thing you can do is to simply write down in a notebook what you want to manifest in your life. It helps you make clear intentions of that which you want to create in your Reality. Here is a link to Daily Intentions that can help you release everything that might hold you back. This week is all about becoming more aware of your Divine Soul Mission. Not so much about stepping into it, because I am sure that those of you on the Ascension Path are already fulfilling your Divine Roles, but becoming more conscious of your role in terms of who you are and the details of your Blueprint. All of a sudden you might feel the urge to do something that you have not done before, take on new adventures and finally step out of your comfort zone, letting go of fears and doubts and just follow your dreams. Many who have felt that they wanted to do something else, try something else, but somehow felt that they were put on “pause”, for various reasons, will find that now is the time to get on with it and that they are fully supported by the Universe. Your Divine Purpose is unfolding in front of your eyes, now more than ever people are called to step into the New. Your Higher Self keeps showing you, through signs/messages/dreams/visions/feelings, the direction you are supposed to be going and that which is for your Highest Good. However, at the end of the day it is all up to you, if you have the Divine Courage, Faith and Trust in your Guidance and Yourself to follow that direction. Having Faith and Trust at all times, it is not an easy thing to do that’s for sure. What’s important is that when doubts and worry and other ego mind thoughts come up, observe them, and let them go without clinging onto them or try to overthink and overanalyze them. Just let them go. Detach. Invoke the Violet Flame. You have the power to change those lower vibrational thoughts into higher vibrational thoughts – Love thoughts. You are an Alchemist. The mind is not your enemy, so don’t make it your enemy. When balanced and connected to the Heart, the Mind is a powerful tool. Some say thoughts create reality, however that is only partially true. Our whole beingness creates our reality. Our consciousness creates it. The outside is an expression of what’s within. We are now shifting from an Era of Fear, to an Era of Love Only, and that must first happen within. The best comparison I can give, that can help you understand better, is that of the caterpillar turning into a butterfly. The caterpillar has a hormone within it, that lets her know when it’s time to move on to the next level, hangs upside down from a twig and makes a chrysalis (or a cocoon if it’s a moth). Then, the caterpillar spends some time in the cocoon where it’s undergoing major transformation. Eventually, it turns into a butterfly and its world changes completely. The butterfly learns new things, learns how to FLY. This caterpillar metamorphosis is the best representation of what’s happening with many people right now. Well, except the hanging upside down, unless you’re an athlete, or Spiderman. Also, this is the Scorpio energy! The Scorpio energy is all about empowerment, deep transformation, rebirth and stepping into the New with Self-confidence and Bravery. The Universe always supports our Highest Good. Thank you, Universe! It is time to get your wings and Fly! This week’s theme is creativity. With it comes being courageous enough to follow your passions and step into your Divine Purpose. Many people believe that they are not doing enough, that they are not on the path, or they’re lost. That is never the case. You are never lost, no one ever is. Your Higher Self is always there guiding you, always with you. It is just that you aren’t very aware of it. You are in the unknown. You do not know where you are headed. You don’t know the destination. You don’t know how everything will unfold. And you know what ? It’s perfectly fine. It’s okay to not know everything. It’s not healthy to try and figure everything out all the time.It’s exhausting, and it won’t work.If you would know everything, would you live with the same excitement everyday ? It is not about the destination, it’s about the journey. I’d recommend going within your Heartspace more, and be Present in the Now.You will realize you are not as lost or confused as you thought you were. Ask the questions and the answers will come when the time is right. Observe, pay attention and have Faith. The key is ALLOWING. Allow your path to unfold in front of your eyes. Set your intentions that the experiences you are creating are for your Highest Good. Allow your highest good to unfold. This might not be such an easy task, but it doesn’t have to be hard either. It takes a new level of Mastery, Divine Faith and Trust. Having Faith that you are on the “right path” and trusting the experiences you have created for yourself, and still create in every moment, are for your highest good. No matter how “dense” it looks to you, everything is energy. It just takes different shapes and forms, us including, therefore we are eternal Souls in a physical body. There have been made revolutionary discoveries in quantum physics, that shows we are truly All inter-connected. One. That means everything you think , feel and act is affecting everyone and everything else, directly or indirectly. Your energy field can vibrate either at a high frequency that is Pure Love, which is our authentic state of Being, or a low frequency, such as Fear, which is illusionary. You choose the vibration and frequency you want to align yourself with. 2. Love is truly All there is. Everything comes from Pure Love – Source. No matter the illusionary“masks” Love takes on, eventually it all returns to its original state. It’s all for the purpose of experience. 3. Your emotions,thoughts and experiences don’t define you. They are temporary. Do not get attached to them, don’t cling onto them, and they will pass. It is part of your experience, but they don’t define you, so don’t let them do that. Make a conscious choice to release everything that does not serve your highest good within you. It is a process. 4. Transformation starts with loving yourself unconditionally. It is essential to love yourself. It is the energy that triggers the transformation that needs to take place within. When you want what’s best for you, the universe, your guides will do do everything to give you that. Also, if you do not love yourself unconditionally, if you judge or hate or you’re having trouble accepting yourself for who you are, you will inevitably do that with others. Everybody is a mirror of yourself. Self-awareness is the solution to letting go of that which I have mentioned above, and when that is being released, only Love for you and for All remains. And since everything starts within, it’s important to be balanced within first (e.g: balance of the 4 bodies – spiritual,physical,mental,emotional, balance of Love, Power and Wisdom, aka the threefold flame etc.). Not the other way around. Change starts within always, and it reflects on the outside through the experiences you are having. Often people are pushed to the extremes, however, it’s just an opportunity for you to find the balance.It’s a matter of perspective. So find the balance within yourself, and you will instantly find the balance in your daily life, that will only lead to a more peace~full, joy~ full lifestyle. 6. You create your own reality. We are Co-Creators. Nothing ever happens to you that you did not agreed to. You are 100% in charge of your reality, as you have Freewill, and the power of Choice. Every day, decide what you want to create in your life and state your intentions clearly. Your intentions are very powerful and they will manifest In ways that are for your highest good. Do not fall for the “victim” state of being, where you blame someone else like the government, people, God, or yourself, for what is happening to you. Don’t involve yourself in the “blame game”, and take responsibility for the energy you are putting out in the universe, that is what you’re going to get. 7. It’s okay not to be okay! Often, many people perceive being spiritual as being positive, joyful and poop fairy dust all the time. While, yes, we find ourselves more joyful after letting go of all the “stuff” that no longer serves us, that’s not all being spiritual means. It is quite a complex subject and it is different from person to person. However, we all have moments, we all feel down sometimes as we’re currently on the Transformation Roller-coaster. It doesn’t make you “less spiritual”, and we’re also not on a competition. I have actually observed people trying to run away from their emotions and feelings, suppressing them, not dealing with them, and masking them with a happy face. Let me tell you, it never works. At some point you’re going to have to deal with the “darkness” within. That is how it transforms into Light, and you’ll realize it all worked for your highest good anyways, and that it was part of your learning process. It was always Light in essence. Recently, I have been guided to make ascension sessions. This is for the people who are experiencing difficulty in overcoming challenges or simply for those who need a little “push” on their Ascension Path. So, if you feel like you could benefit from it, in any way, don’t hesitate to contact me. You, yourself, are a God-Spark, capable of overcoming anything, and you have everything you need within. I am here only to give you the tools, information and “push” you might need to move forward on your path. They Ascension Guidance part lasts around 45 minutes, unless you want more time. I can be flexible, because I don’t want time to be an impediment. After the session I am going to do the energy work (Energy Healing/Transformation). Consider it like a “boost”. Mostly, it doesn’t take more than 20 minutes. I can assist you in transforming some of the energy that no longer serves your highest good. However, it’s up to you if you want this. I am going to ask for your permission, you have Freewill, and I respect your journey. The session will happen through typing for many reasons: it allows me to say focused, it allows you to re-read the conversation later when you might need it, to avoid noisy background etc. We can do the session via Skype, Facebook or E-mail, it’s up to you. We are going to be assisted and supported by both our Spirit Guides teams, Angel teams, Medical Teams and, of course, our Higher Selves. Not necessarily. Of course, it can’t hurt to lay down for a few minutes, take a few deep breaths and relax before it begins, but that is up to you. Also, I recommend writing down the questions or topics you might want to talk about before the session, but again, all up to you. 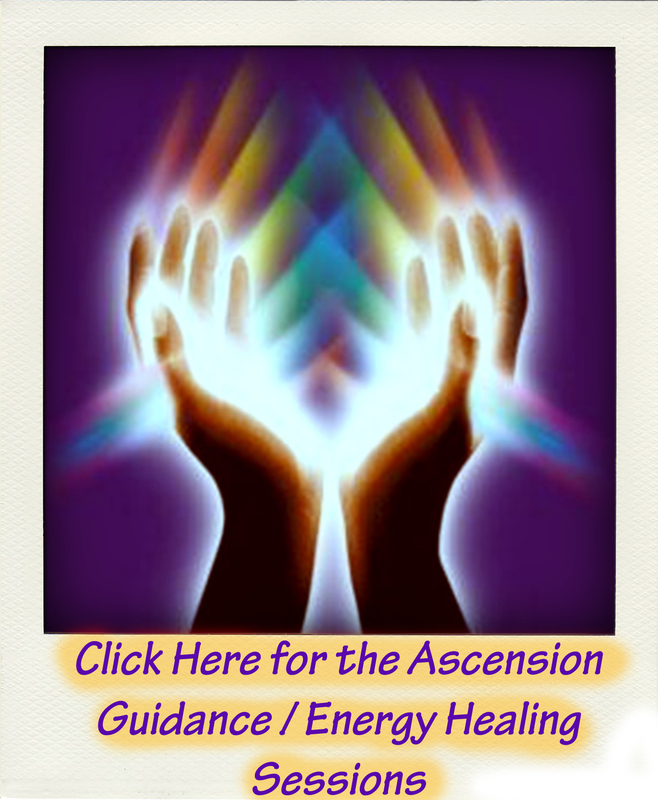 The Energy Healing and the Ascension Guidance are included in ONE Session. The cost of it is only 30$. Payment is made in advance through Paypal ( Click on the Buy Now Button for that). After payment is sent, please e-mail me at ascensionguidance@yahoo.com and we will schedule it. I am looking forward to connecting with you! “Thank you so much! It was an amazing experience.I felt such heat and burning sensation in my solar plexis area.I still do.I also felt a burning in my heart area. There was alot of releasing and clearing! I can still feel the energies working! “Absolutely amazing. Keep up the great work. I feel a big sense of progress and understanding sweeping over me. If you feel like all this information assisted you in any way and can afford making a donation, please do. Highly appreciated, as putting the information "out there" takes quite a lot of time and energy. Thank you for the energy exchange.